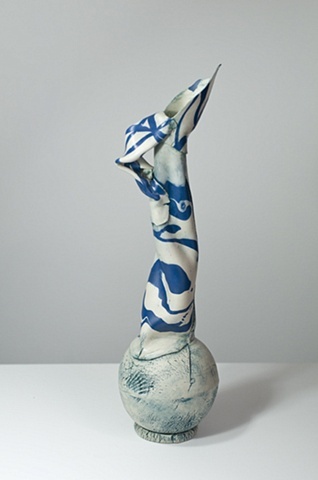 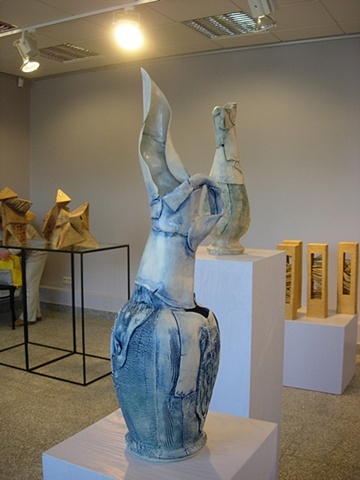 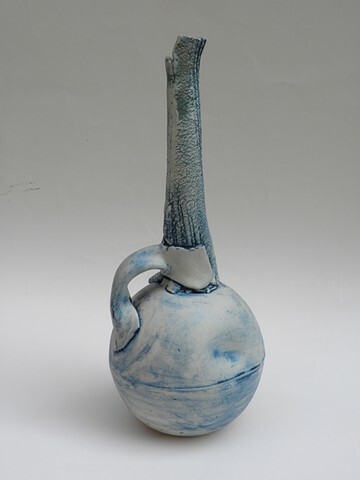 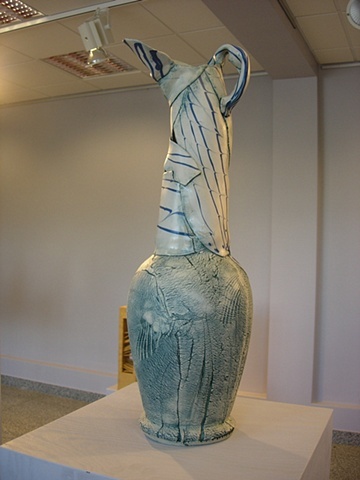 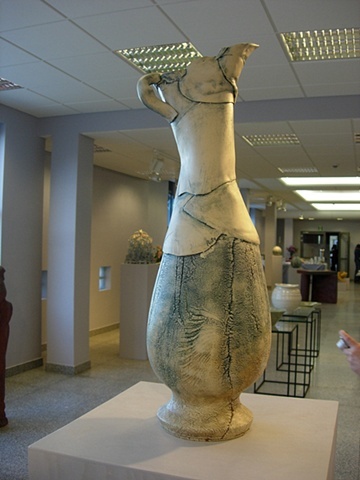 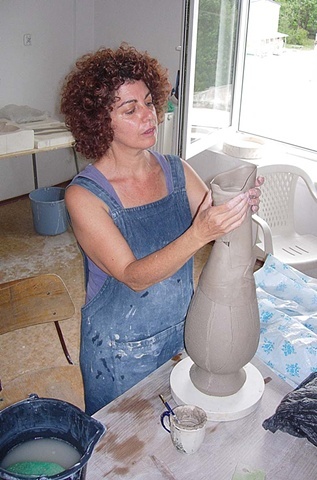 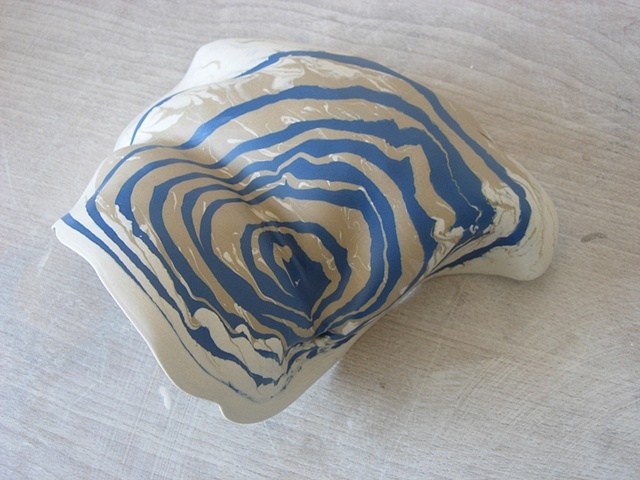 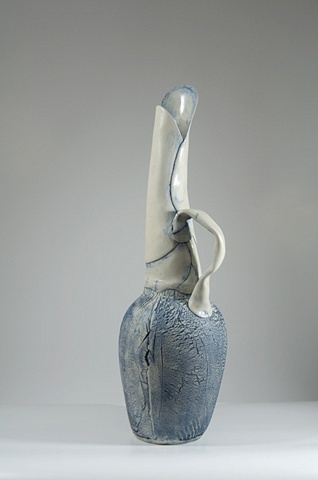 I spent August 2007 and August 2008 in Boleslaviec, Poland, where I participated in the 43rd and 44th International Ceramic and Sculpture symposium. 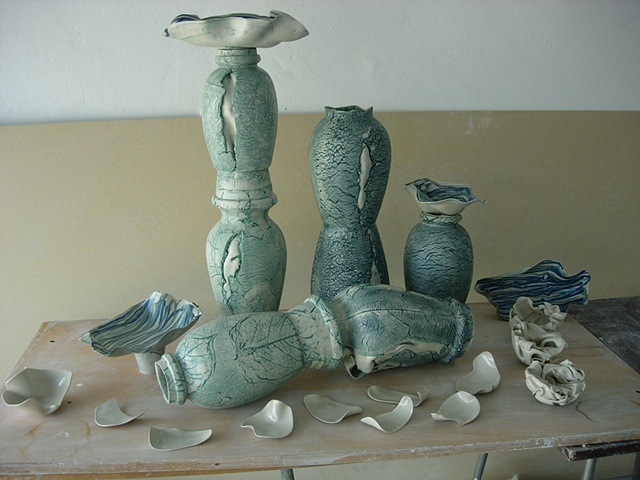 I had a studio in Manufaktura Stoneware factory. 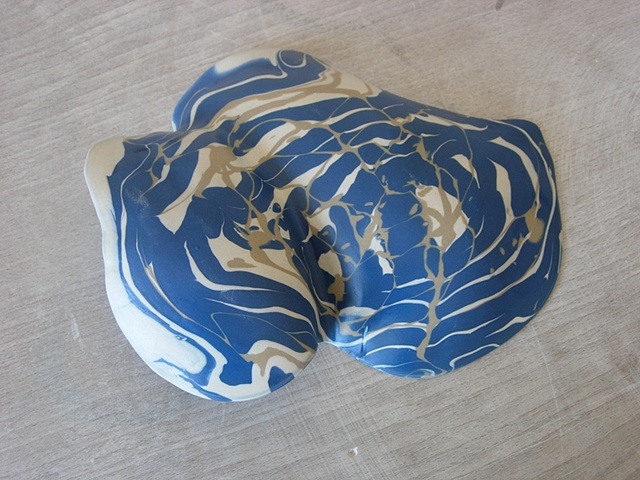 The material provided was liquid and plastic stoneware slip. 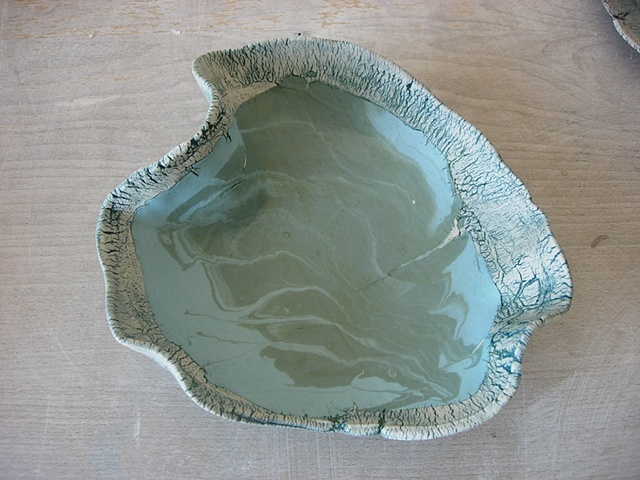 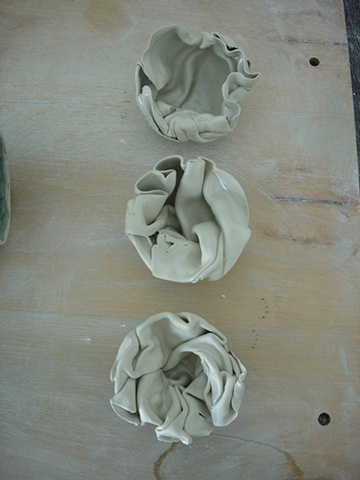 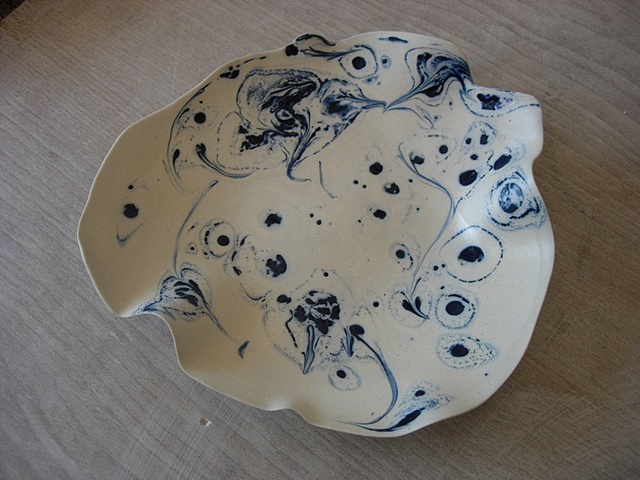 .I used experimental and innovative techniques to make Jug Forms and dishes emphasising contrasting surface quality and texture.